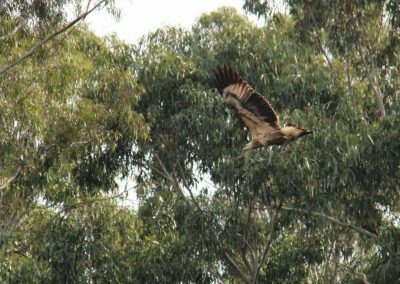 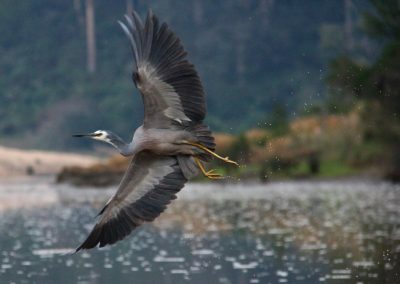 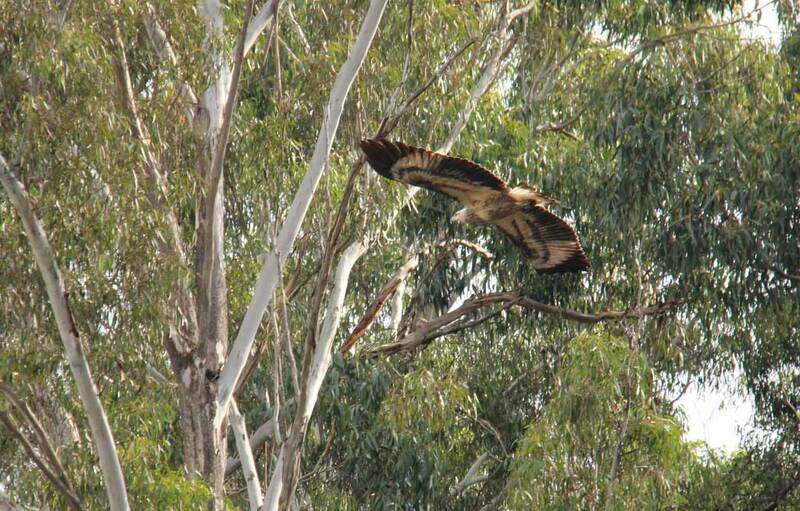 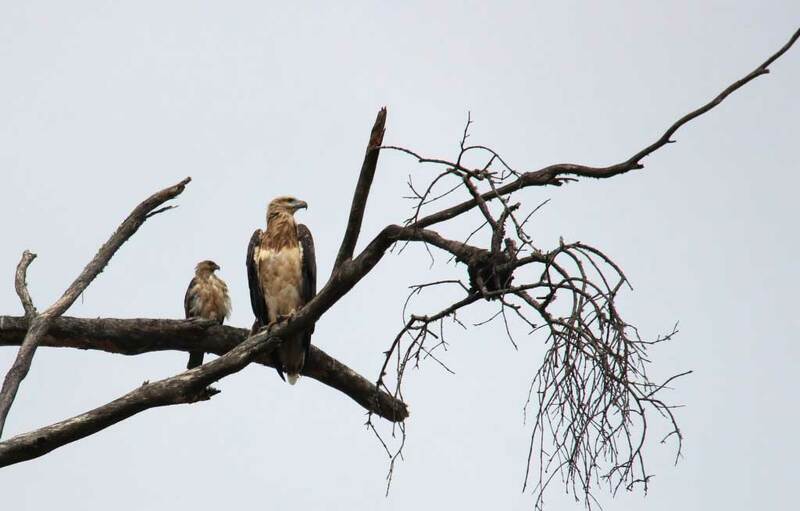 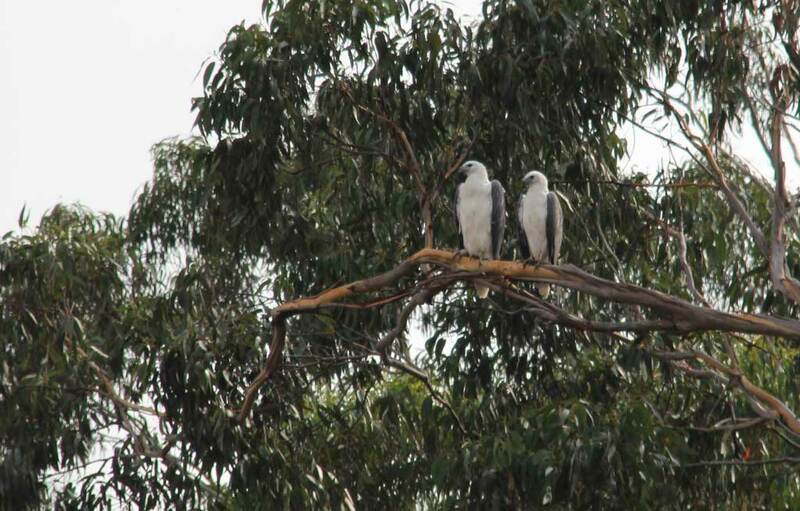 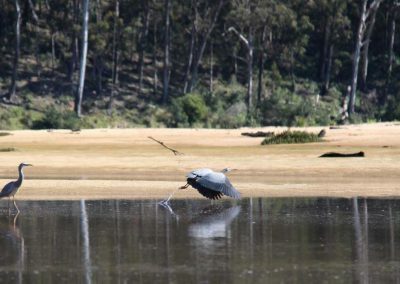 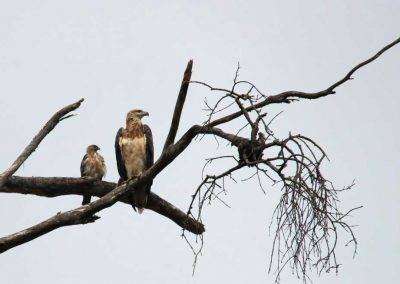 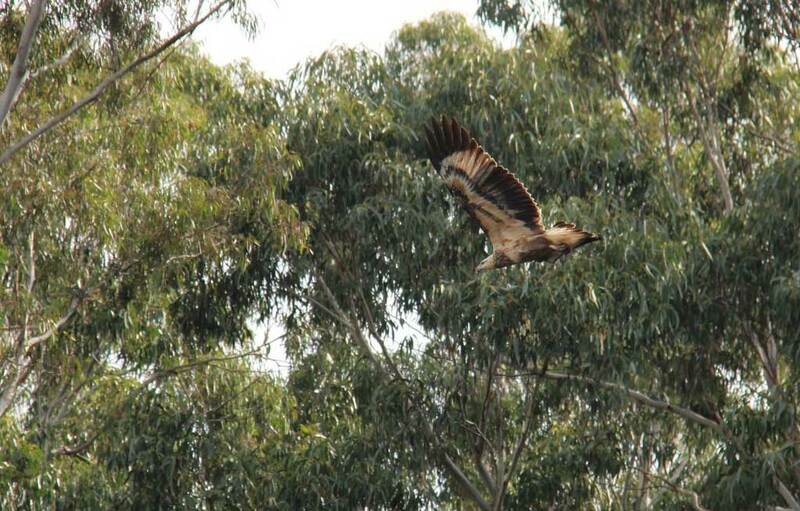 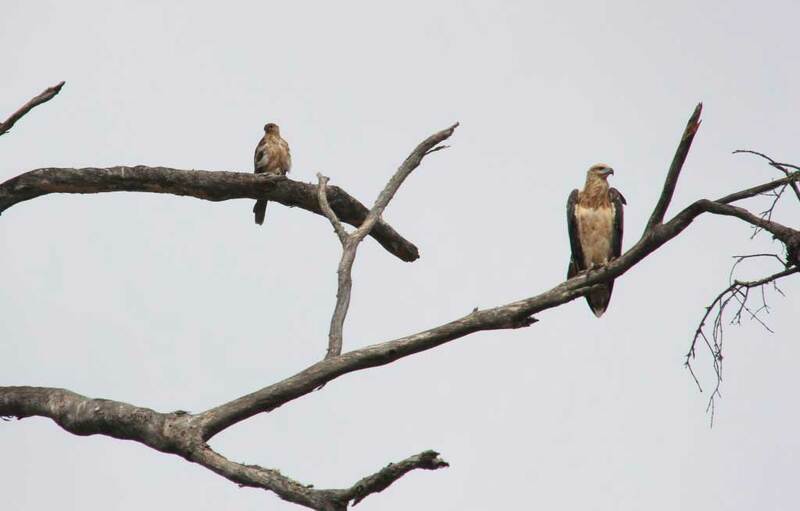 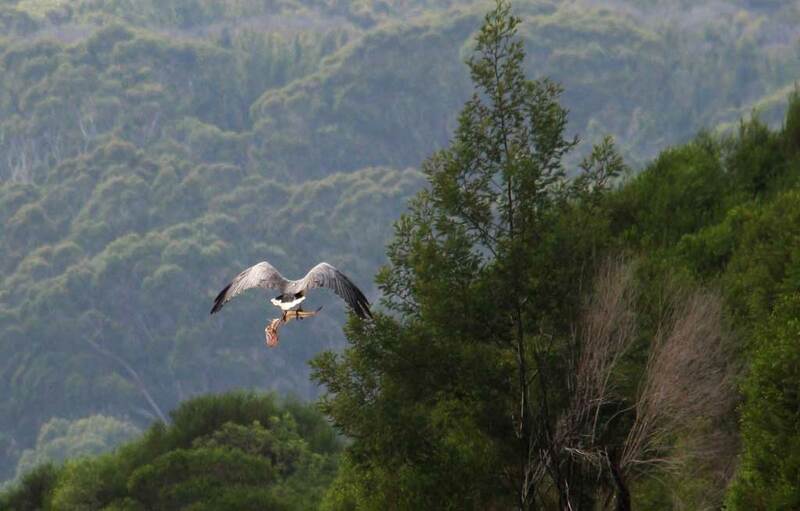 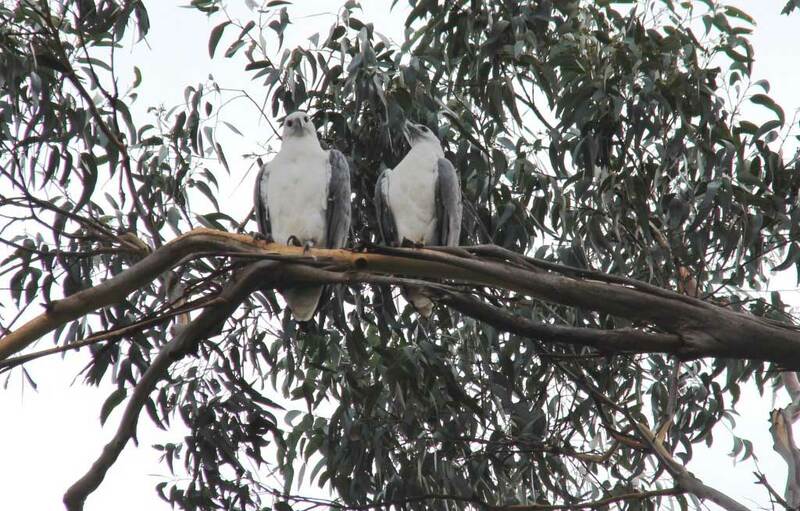 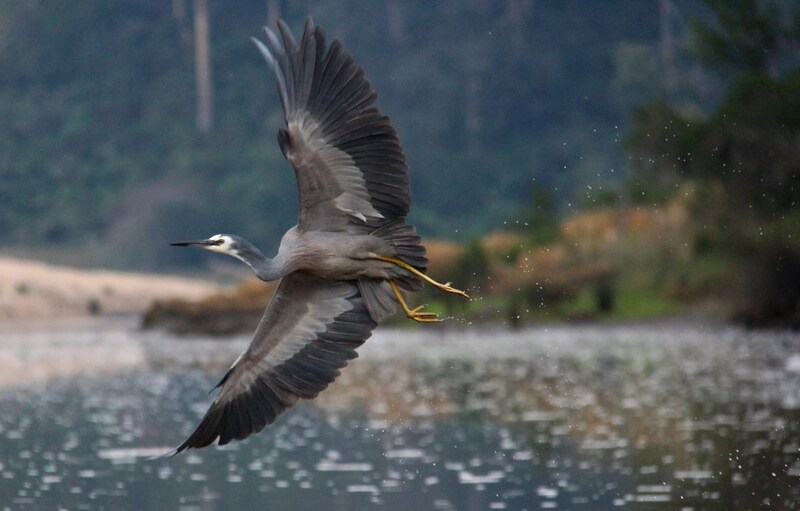 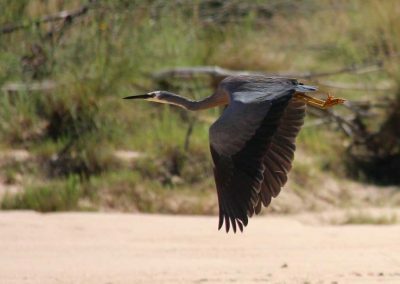 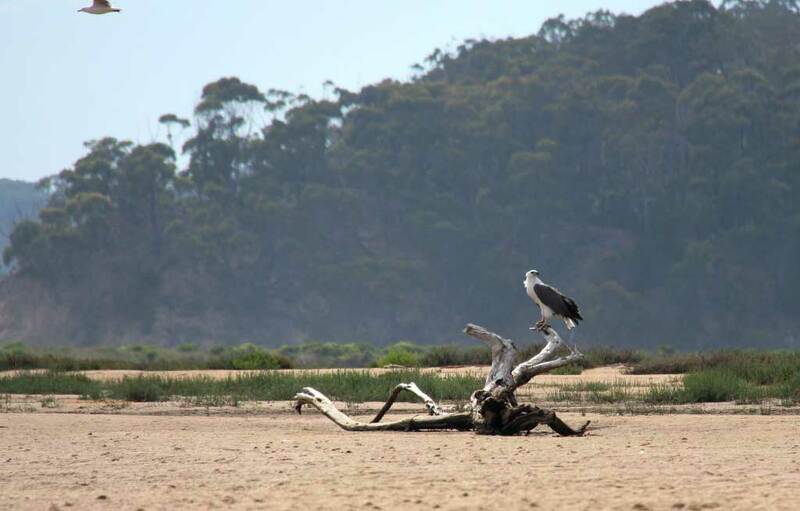 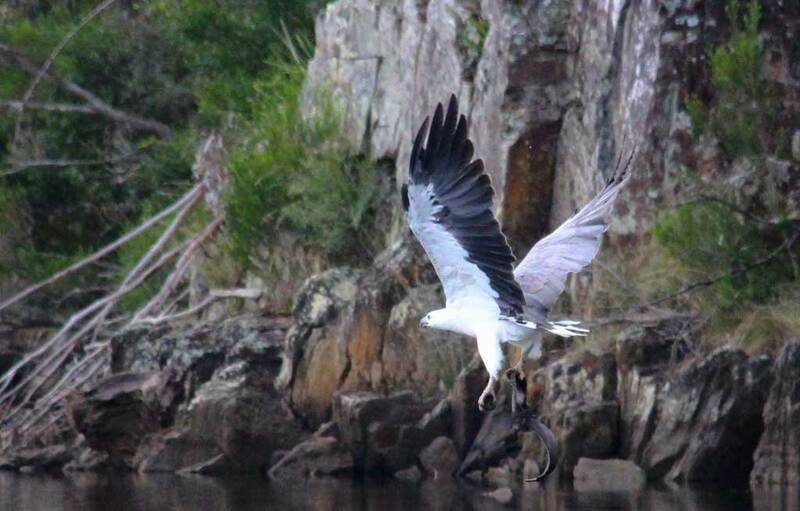 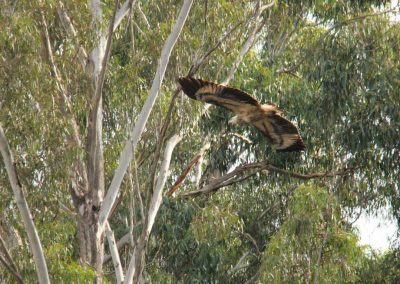 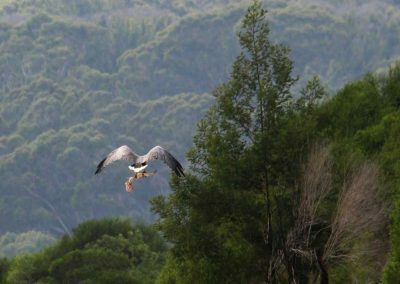 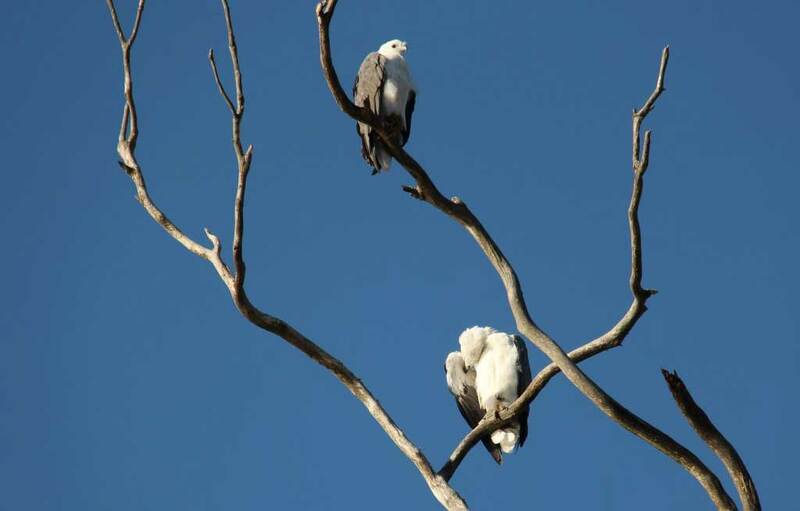 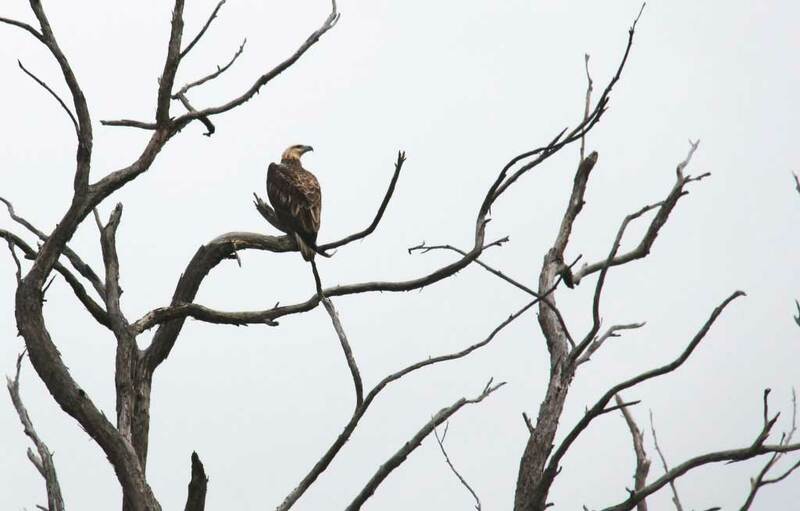 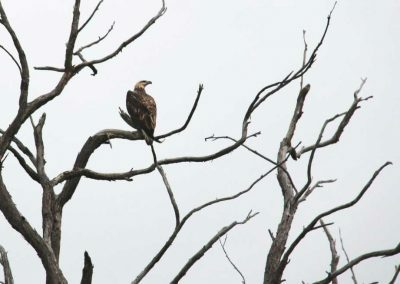 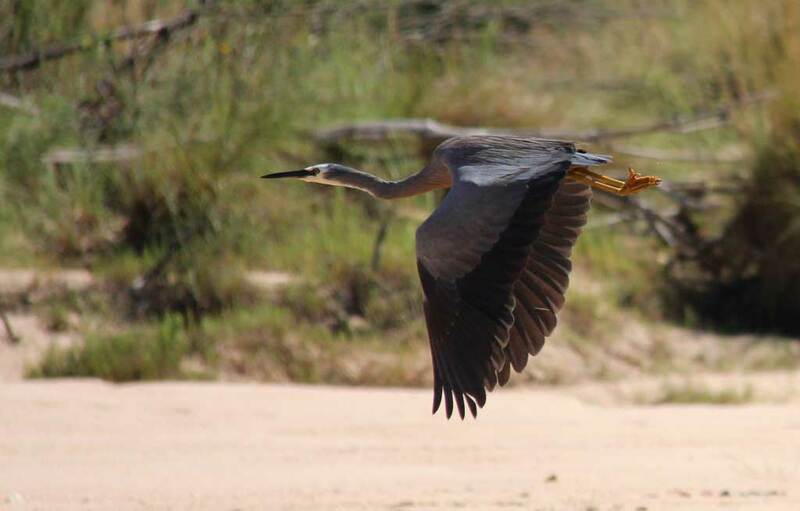 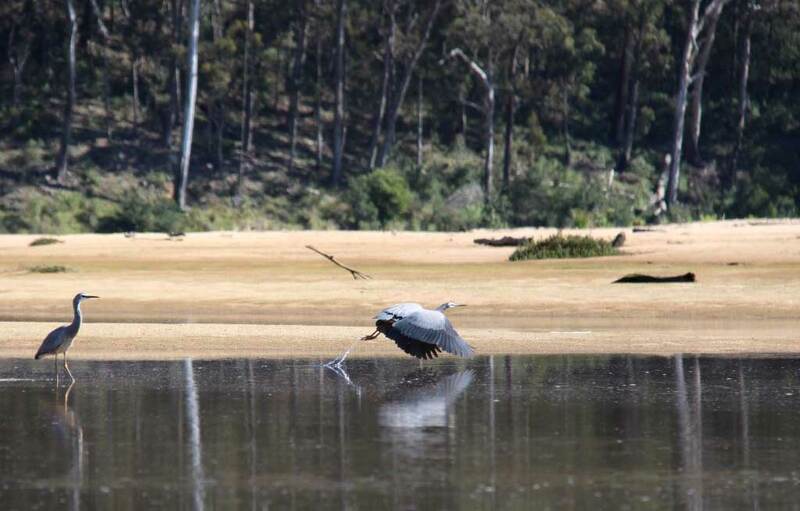 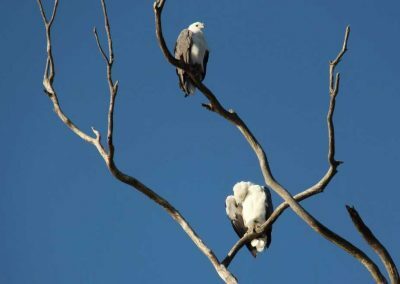 Our river is home to a huge variety of birds, including Australia’s largest raptors – the mighty Wedge-tailed Eagle and the magnificent White-bellied Sea Eagle. 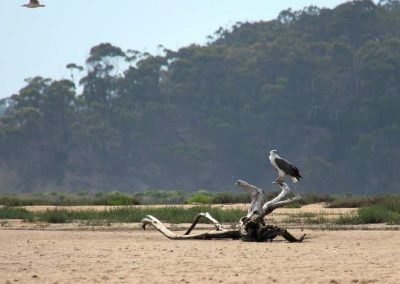 There are forest dwellers, shore birds, pelicans and more, including the shy Superb Lyrebird – who cheekily confuses the listener by mimicking other bird calls. 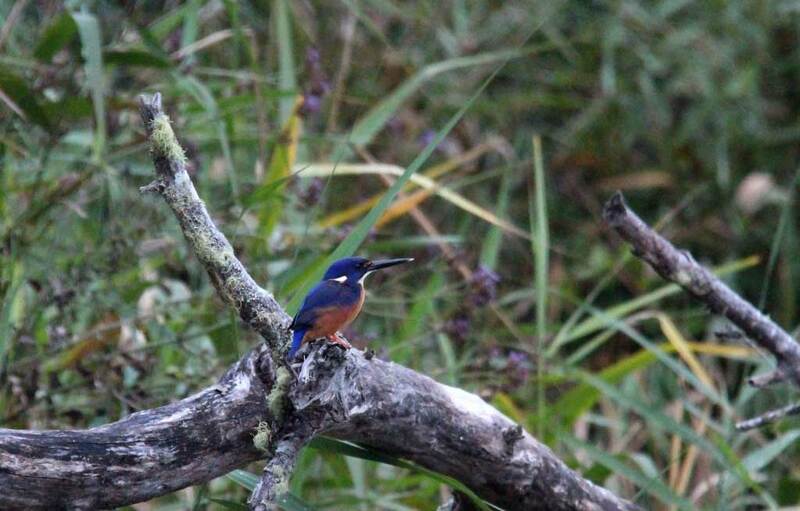 Our favourite is the iconic Azure Kingfisher (Alcedo azurea) – a frequent visitor along the edges of the river. 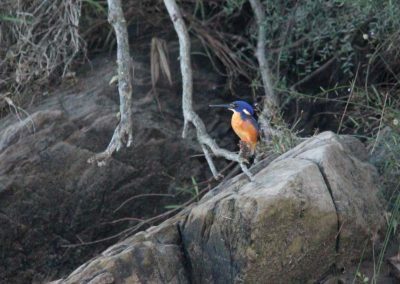 This small kingfisher (17–19 centimetres (6.7–7.5 in), in the river kingfisher family, Alcedinidae, is found in Northern and Eastern Australia and Tasmania. 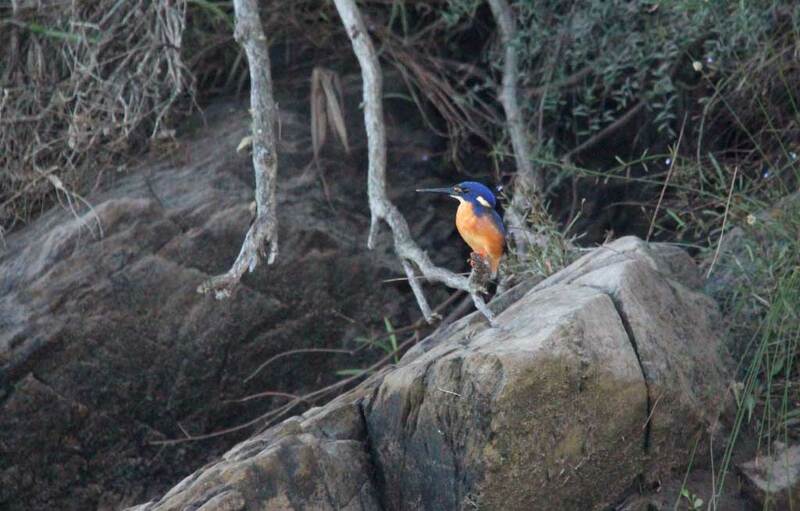 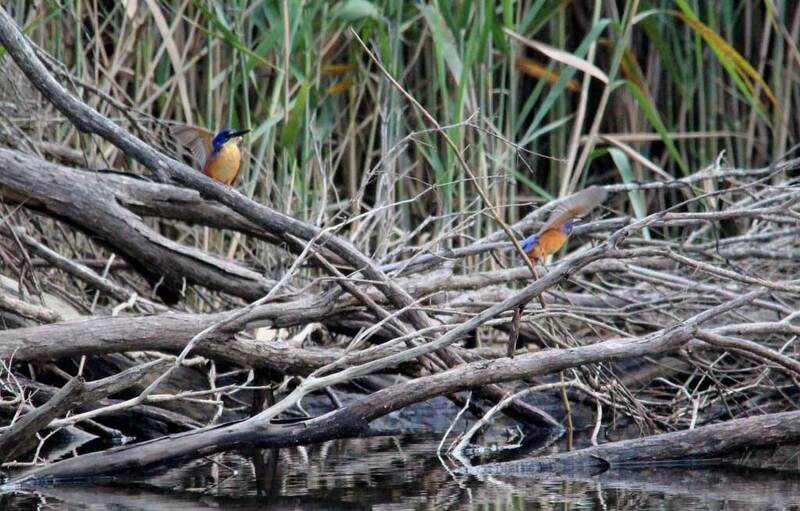 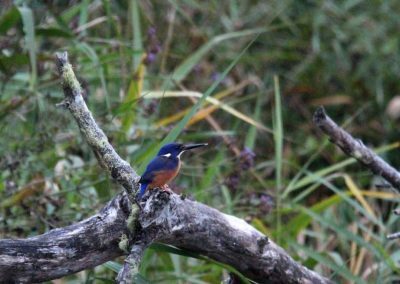 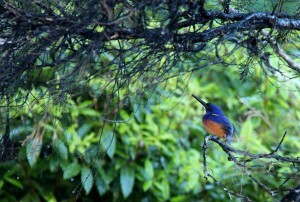 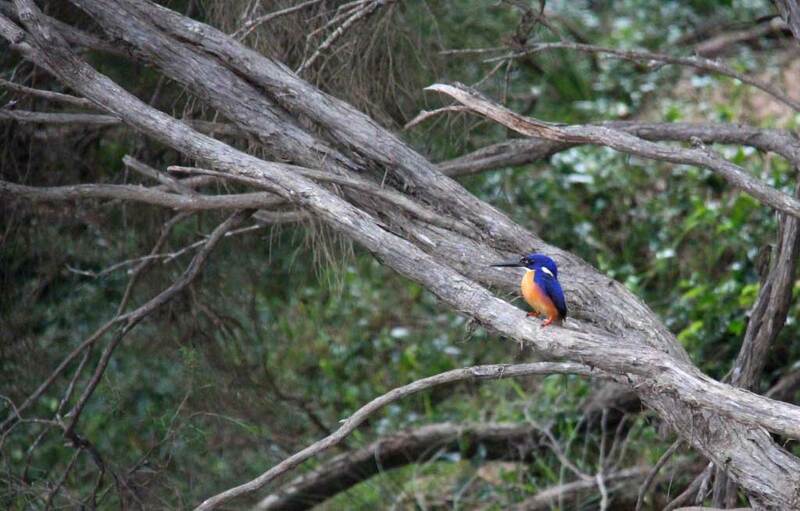 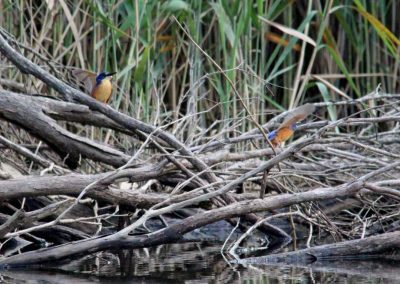 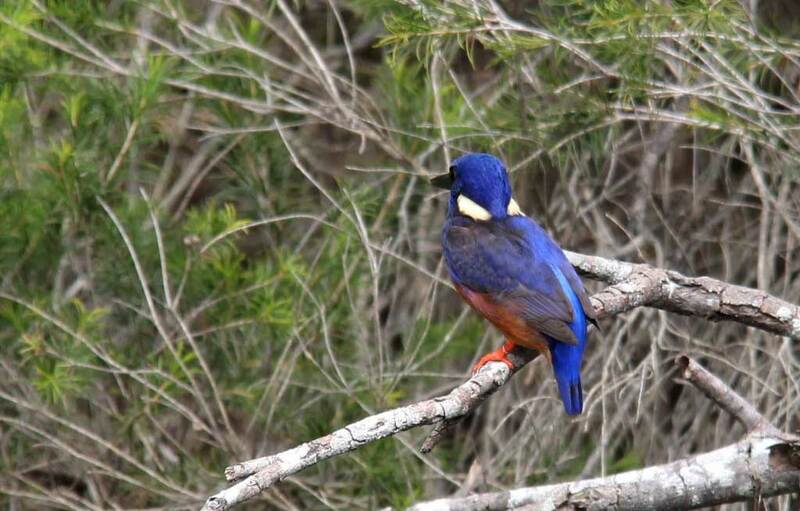 At home in its natural habitat along the banks of the Kiah River the Azure Kingfisher is often spotted! 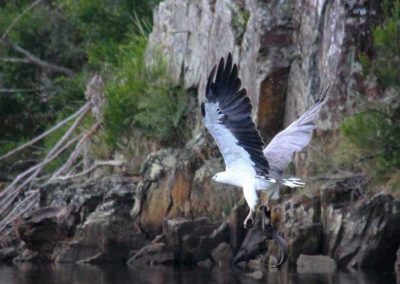 Kayaking allows you to creep quietly along the river, where you’ll see them perched on a branch or darting around for small fish in the clear water. 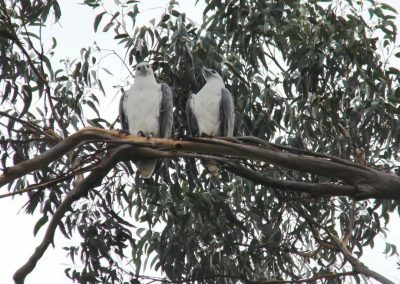 If you listen for a high-pitched, shrill, ‘pseet-pseet’ that is their call! A very colourful bird, with deep blue to azure back, a large white to buff spot on side of neck and throat, rufous-buff with some blue-violet streaks on breast and flanks. 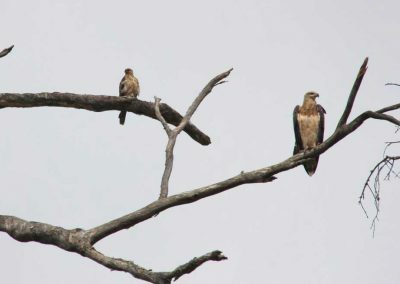 The feet are red with only two forward toes. 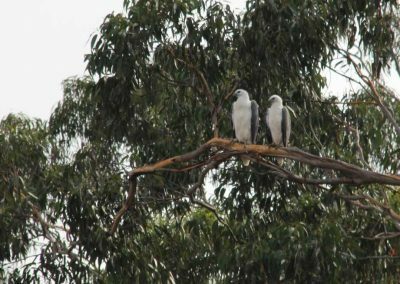 The lores (the region between the eye and the bill) are white and inconspicuous except in front view, where they stand out as two large white eye-like spots which may have a role in warding off potential predators. 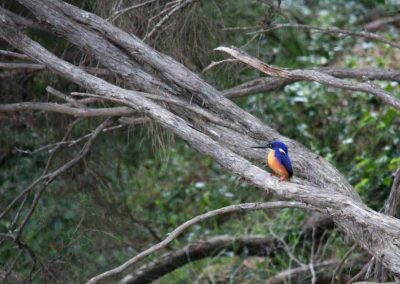 Check out the full list of the birds we have identified on the river and in our surrounding forests.